Looking for fresh ideas to revamp your Facebook page? Do you feel like you've done all you can? Are you following Facebook best practices and deploying a consistent content strategy -- but there's something's still missing? Is fan engagement on your page strong, but you’re looking for something different to spice things up? If you answered "yes" to any of these, then you've come to the right place! In this post I'll share 7 fresh Facebook ideas to help revamp your page. Time for a new cover photo! 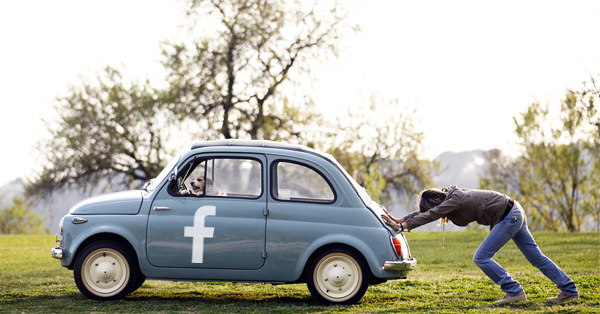 When was the last time you changed your Facebook cover photo? The prominent image is the largest piece of real estate on Facebook & it's the 1st thing people notice when they visit your page. Changing your cover photo gives your Facebook page a whole new look. 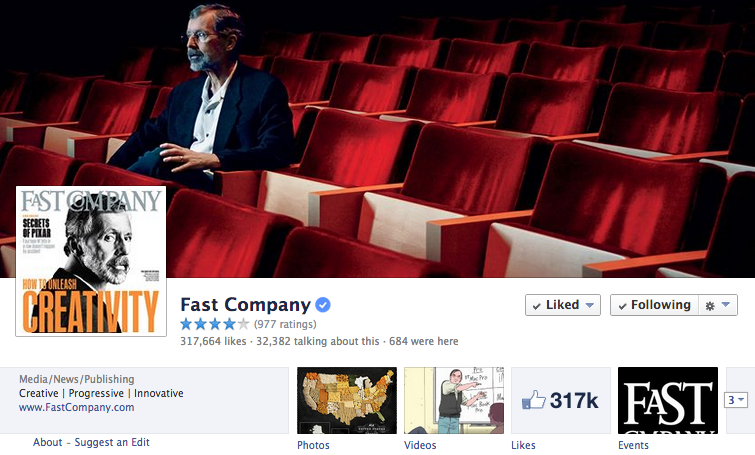 So take a cue from Fast Company & change your cover photo often. 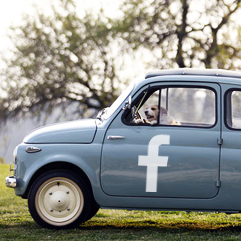 Facebook contests & giveaways are great ways to show appreciation for fans & find new ones. 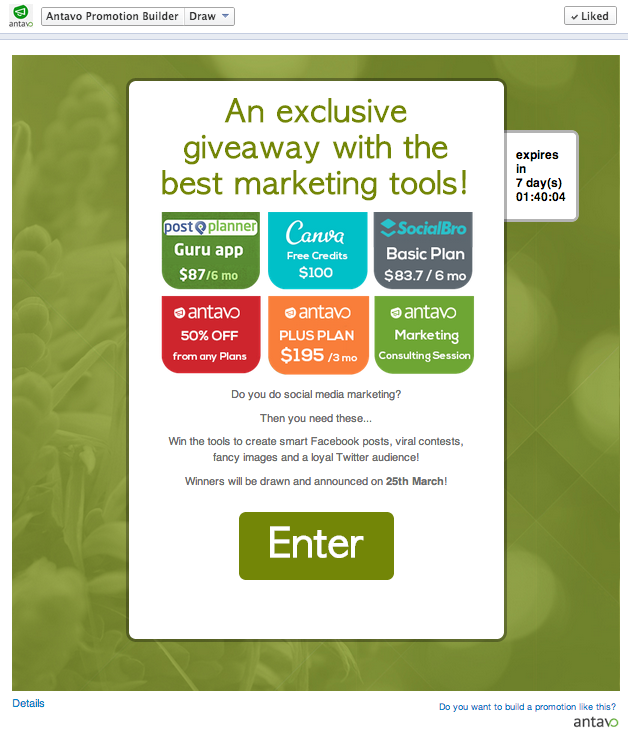 Contests also work well for getting followers to re-engage with your page. Only winning twice hasn't stopped me from entering almost every one I see. Hey, if you're not in it -- you can't win it, right?! Recognizing your followers & asking them to interact with your page also helps boost engagement & build relationships with fans. 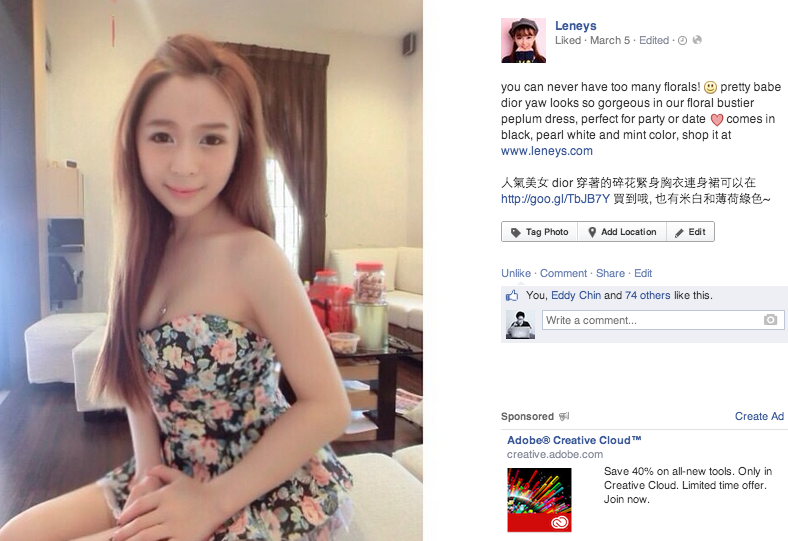 In exchange for a prize, ask fans to share photos of themselves using your product. Share the photos on your page to show other Facebook users that your page is active & lots of people are interested in your company. And it's easy to give fans a shout-out on your page. Post a picture of them, or even better, change your cover photo to showcase your community. It will build brand loyalty while humanizing your company at the same time. If you're having trouble getting your fans to interact with your page, it’s probably time to take a long, hard look at your content. Are you posting inspiring quotes, engaging questions, fill-in-the-blank posts & beautiful photos? Those work great for boosting engagement. Ask your fans for suggestions about what they would like to see on your page. This helps get fans to post comments on your page -- after all, everyone wants to share their opinion! Reddit AMAs are wildly popular. AMA stands for “Ask Me Anything”. These events let participants pose questions to guests like Barack Obama & Bill Gates. 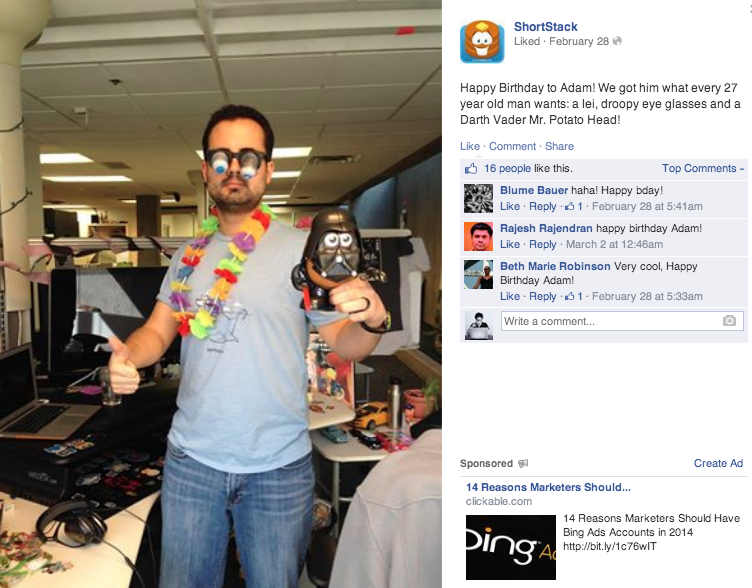 More businesses should host Reddit AMAs on Facebook. Invite influential guests from your industry & allow fans to pepper them with questions. My last tip stresses the importance of data-driven decisions. When was the last time you clicked the analytics button on your page & viewed what worked & what didn't with your Facebook audience? Data from your analytics will open your eyes to what you should post on your page. It's a ripe platform for finding fresh Facebook ideas for your page revamp. I hope you've found these tips helpful. Remember, it's never too late to resuscitate a dying page. Now I'd love to hear from you! 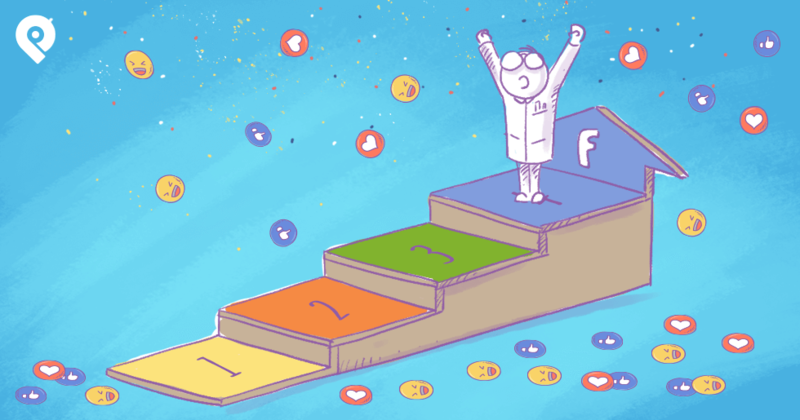 What's your secret for bringing a Facebook page back from the dead?